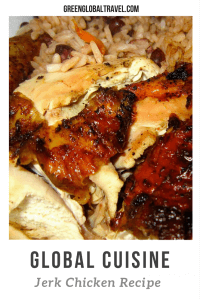 Jerk Chicken is a classic dish that can be found in different variations throughout the Caribbean, but the best Jerk Chicken recipe we’ve ever had came from a roadside stand in Jamaica. You can adjust the amount of habanero depending on your tolerance for spice, but the dish should ideally produce a tingling numbness on the lips. DIRECTIONS: Cut the chickens into 8 pieces, remove all skin and wash. • Cut the onions, pepper, garlic and ginger roughly before putting in food processor, then add dry herbs and spices, lime juice and the rum. • Blend the mixture on full speed and add as much olive oil as needed to give it a smooth texture. • Rub the chicken pieces with the jerk seasoning and allow to marinating overnight. • Place the chicken on a baking tray and roast on a smoky barbeque oven for up to 45 minutes on low heat, drizzling or brushing the chicken with marinade regularly. 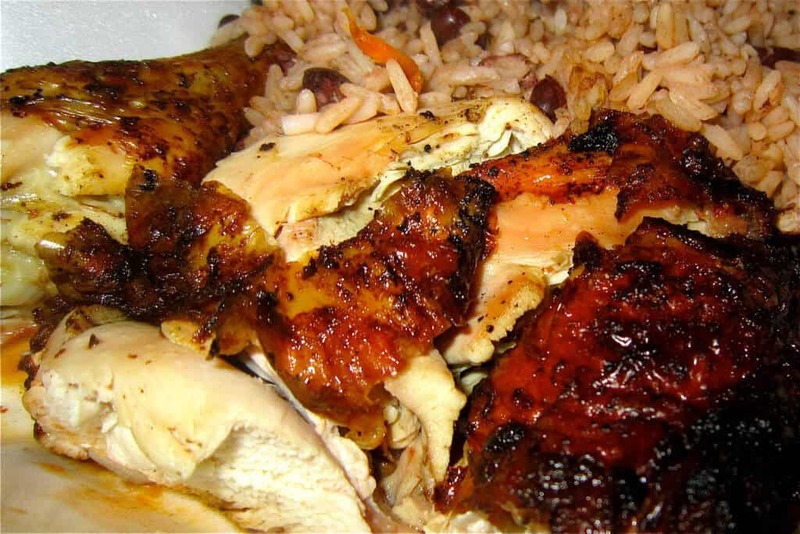 • Serve with black beans, rice and fried plantains for a traditional Caribbean meal!